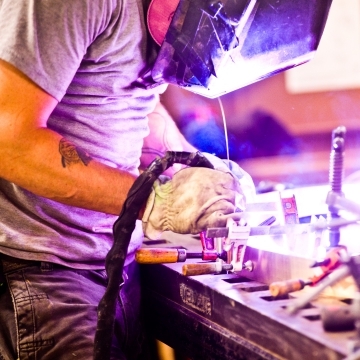 Our three Philadelphia-based facilities offer over 60,000 square feet of flexible manufacturing space where our team of skilled machine operators, fabricators, and artisans work together to redefine the concept of custom fabrication. We combine the latest technologies in laser cutting and CNC fabrication equipment with old-world craftsmanship and creative problem solving to respond to the diverse and ever changing needs of our clients. We employ lean manufacturing principles and virtual tooling to handle prototype quantities and high production runs alike, and we continue to invest in our staff, our equipment, and our facilities to constantly expand our breadth of services and offer a systemic approach to even the most challenging projects.